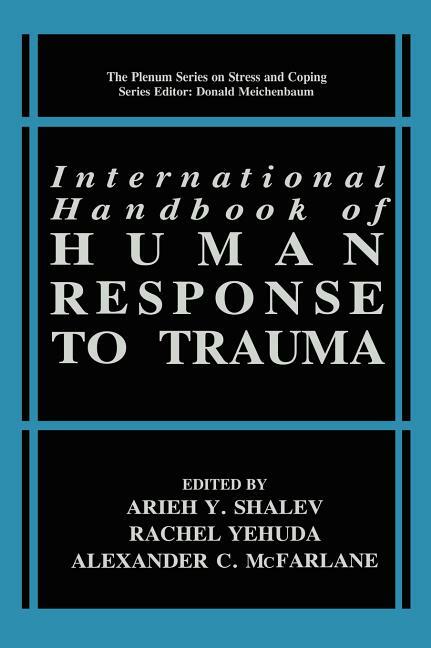 In 1996, representatives from 27 different countries met in Jerusalem to share ideas about traumatic stress and its impact. For many, this represented the first dialogue that they had ever had with a mental health professional from another country. Many of the attendees had themselves been exposed to either personal trauma or traumatizing stories involving their patients, and represented countries that were embroiled in conflicts with each other. Listening to one another became possible because of the humbling humanity of each participant, and the accuracy and objectivity of the data presented. Understanding human traumatization had thus become a common denomi­ nator, binding together all attendees. This book tries to capture the spirit of the Jerusalem World Conference on Traumatic Stress, bringing forward the diversities and commonalties of its constructive discourse. In trying to structure the various themes that arose, it was all too obvious that paradigms of different ways of conceiving of traumatic stress should be addressed first. In fact, the very idea that psychological trauma can result in mental health symptoms that should be treated has not yet gained universal acceptability. Even within medicine and mental health, competing approaches about the impact of trauma and the origins of symptoms abound. Part I discusses how the current paradigm of traumatic stress disorder developed within the historical, social, and process contexts. It also grapples with some of the difficulties that are presented by this paradigm from anthropologic, ethical, and scientific perspectives.